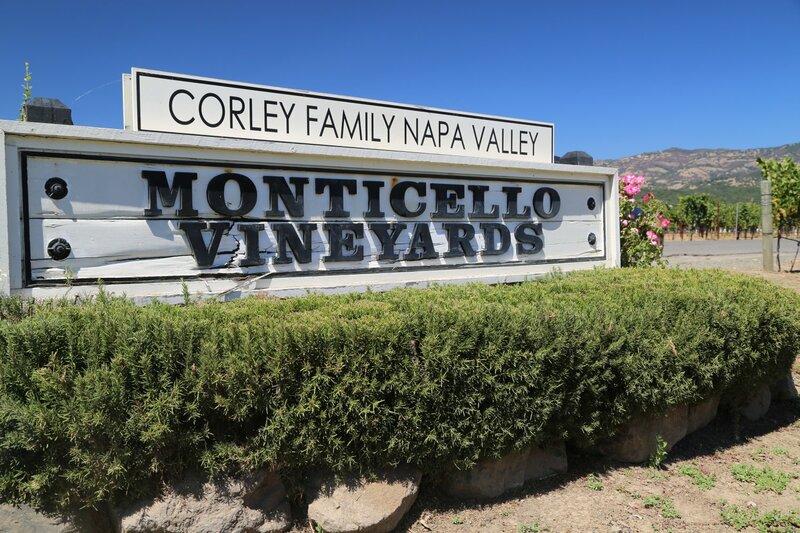 Monticello Vineyards is a family run winery; their first vintage dates from 1980. 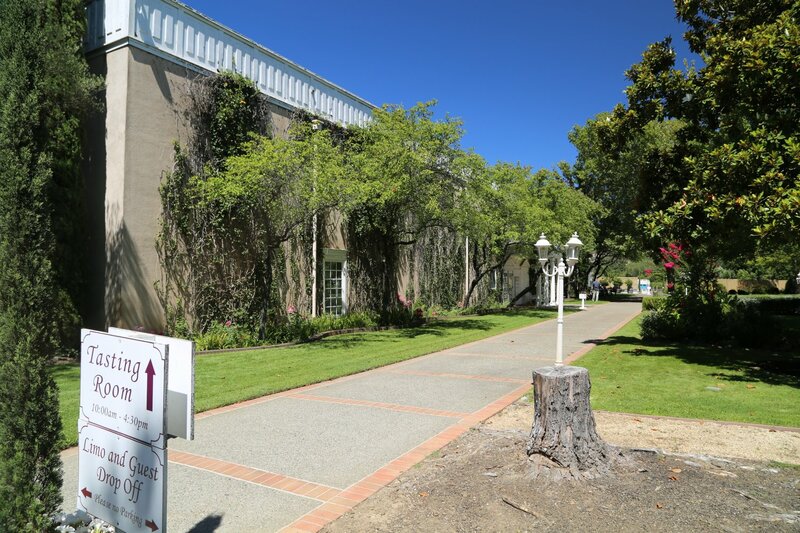 The winery was founded by Jay Corley with the purchase of 80 acres of land in the southern part of the Napa Valley in 1969 (today what is known as the Oak Knoll District). 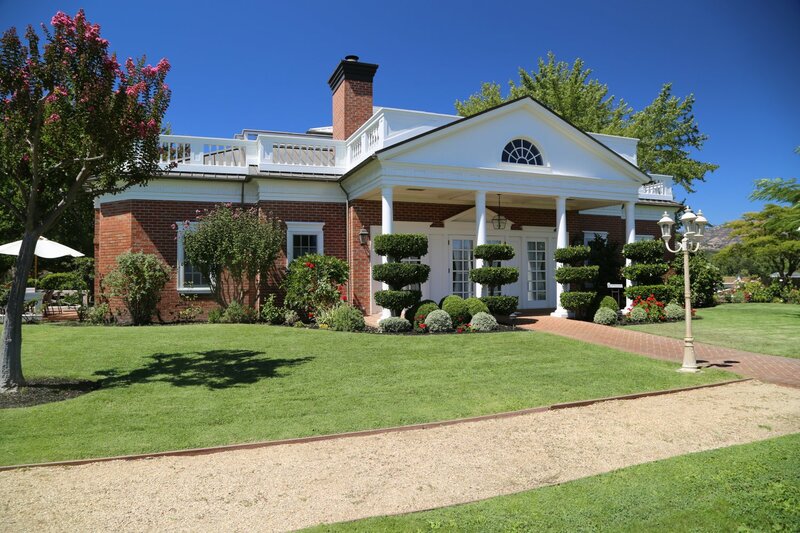 Interestingly, long before Jay purchased property in Napa and well before building the winery – he wrote his thesis while studying for his MBA at Pepperdine University (in Malibu) on planting a vineyard and building a winery in the Napa Valley. But before he moved to the Napa Valley he was a linguist for the government, a businessman in Southern California and later a private investor. 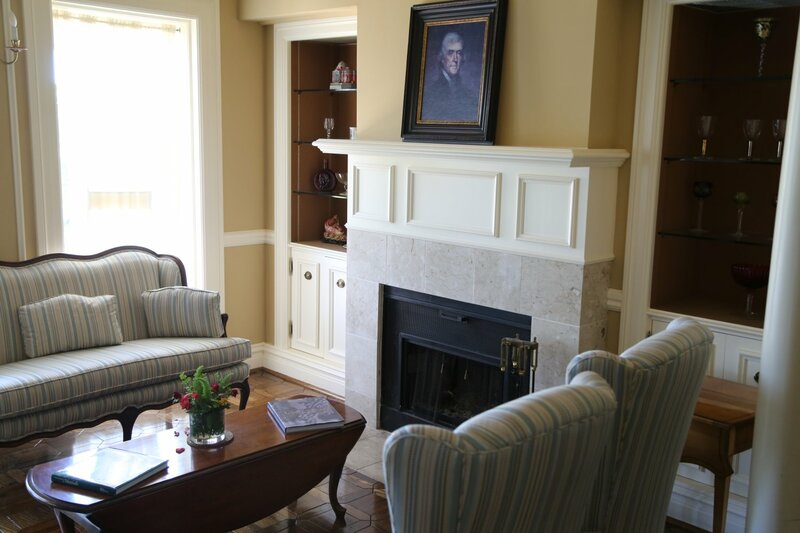 Before Jay had vines planted here, the property was home to old prune and walnut trees. 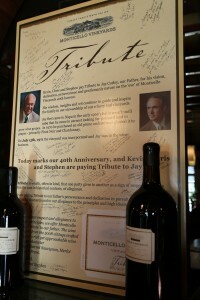 Prior to founding Monticello Vineyards, Jay sold grapes to a number of wineries. Today the family owns or manages some 135 acres in the Napa Valley of which up to 85 acres are planted to vines at any one time. Jay died in early 2016; today his three sons are actively involved in the day to day operations including Winemaker (Christopher) who has worked at the winery since his teenage years and learned everything he knows about winemaking from on the job, Vineyard Manager – overseeing their own in-house team and also President of the company (Kevin), and the Director of Wine Sales (Stephen). 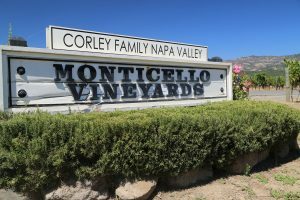 Monticello is located about halfway between the Silverado Trail and Highway 29 off of Big Ranch Road only about 10 minutes from downtown Napa. 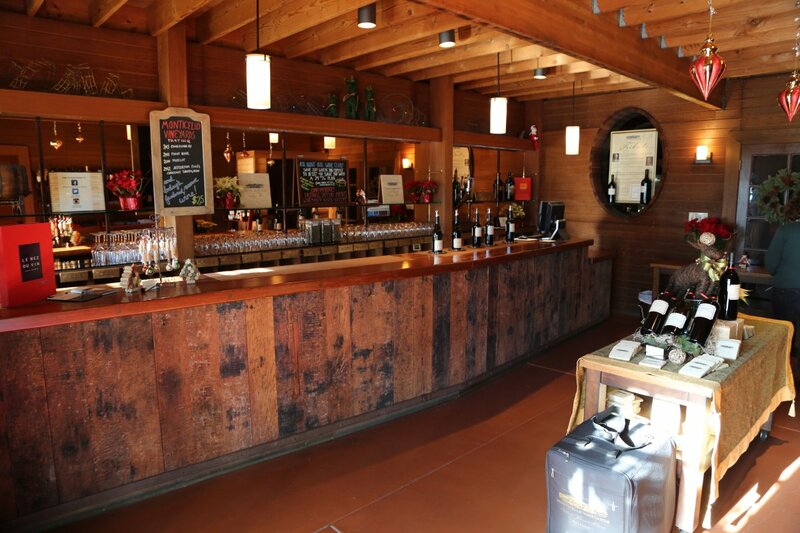 The winery also works closely with three smaller vineyard sites in the northern part of the Napa Valley (including a vineyard they own on State Lane in Yountville) and two others they lease, one in Rutherford and one in St. Helena. 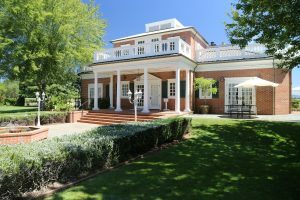 Upon visiting this winery you can’t help but notice the similarity of their administration building (also home for their Wine Library, a commercial kitchen and other tasting spaces) to Thomas Jefferson’s Monticello in Virginia; this is because the winery was modeled after that famous building. 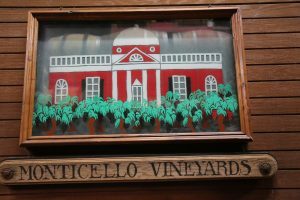 The winery ‘Monticello’ is a 1/3 size replica of the actual building. 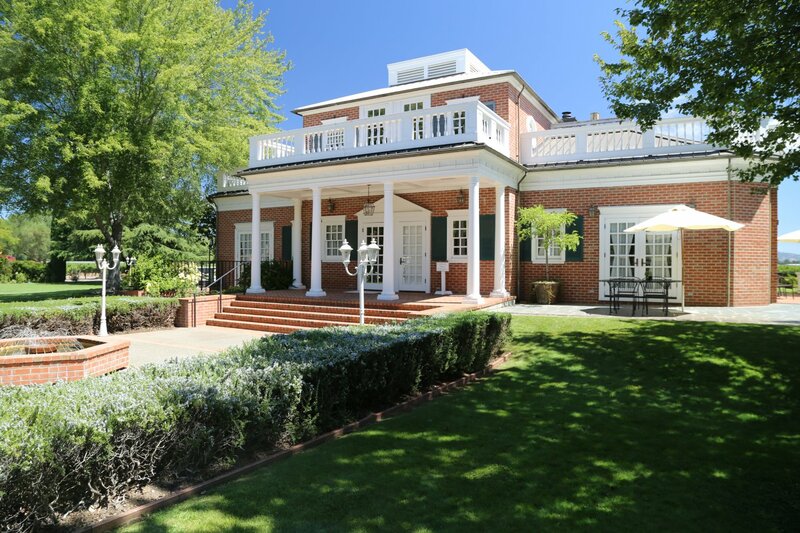 Visitor’s from the east coast often query as to why this Monticello is located on the wrong coast! 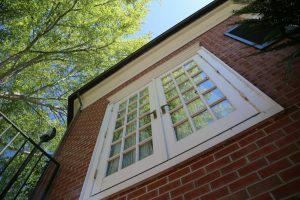 To answer that, one has to understand Jay’s admiration of Thomas Jefferson. 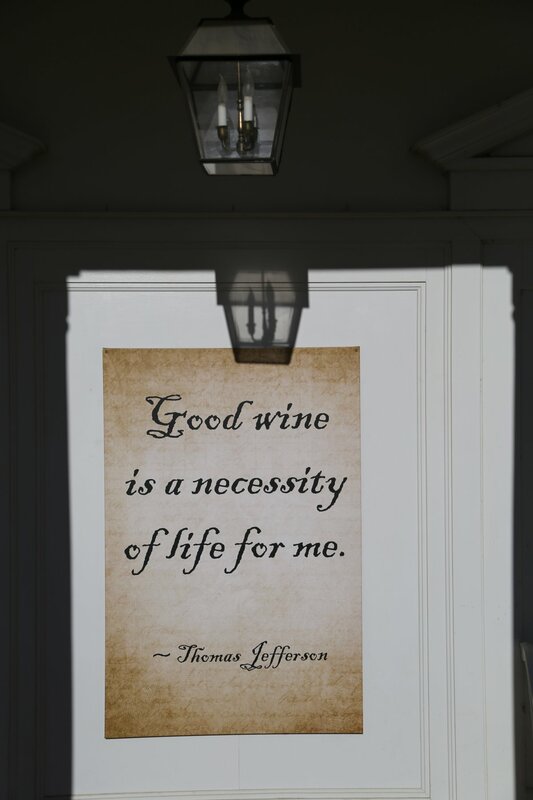 While most known for being the 3rd president of the United States, Jefferson was fascinated by wine and was a collector of European wines (he maintained a wine cellar at Monticello). He was also a Virginian – and in searching his own family records, Jay discovered his family originally settled in Virginia in the 1640’s. Incidentally, Jay’s family have been farmers for several centuries. 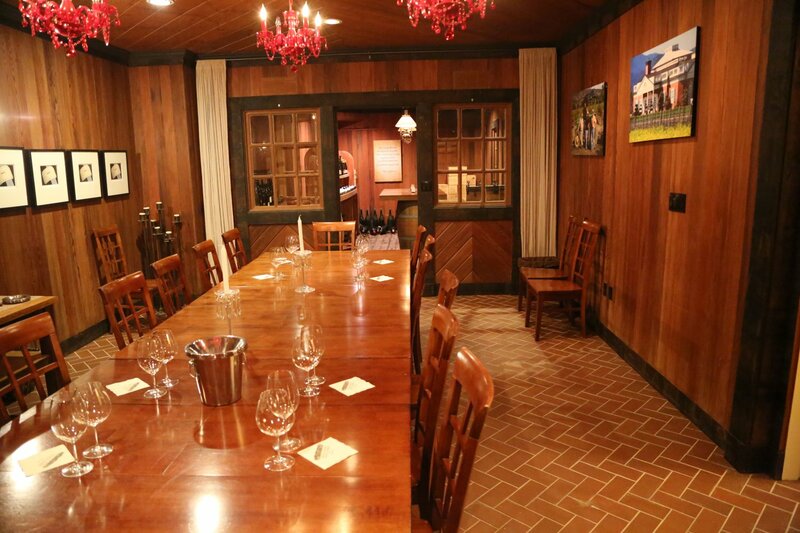 This building is also used for private parties and tastings by appointment. 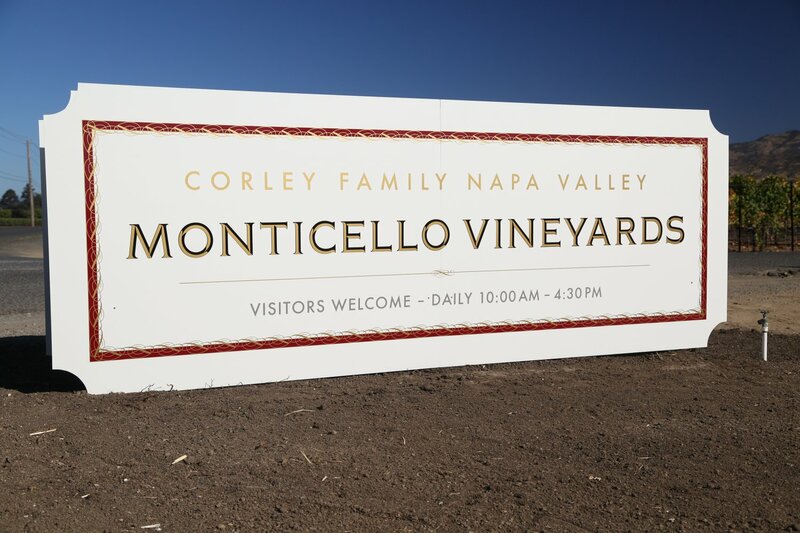 Coincidentally there was also a town called Monticello which is now buried under many feet of water beneath nearby Lake Berryessa (eastern Napa County). And during particularly rainy winters sometimes the basement on this building can flood (see by the stains that are left on the wooden floor). 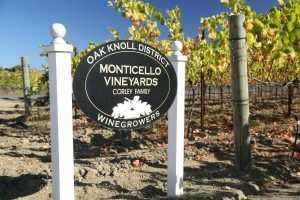 Monticello makes two types of wines; the Monticello Vineyards label; these are affordable, approachable young and food friendly wines. 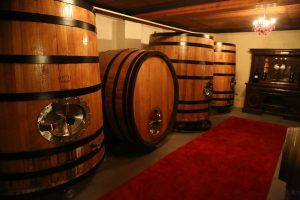 These wines are from grapes grown on their estate. 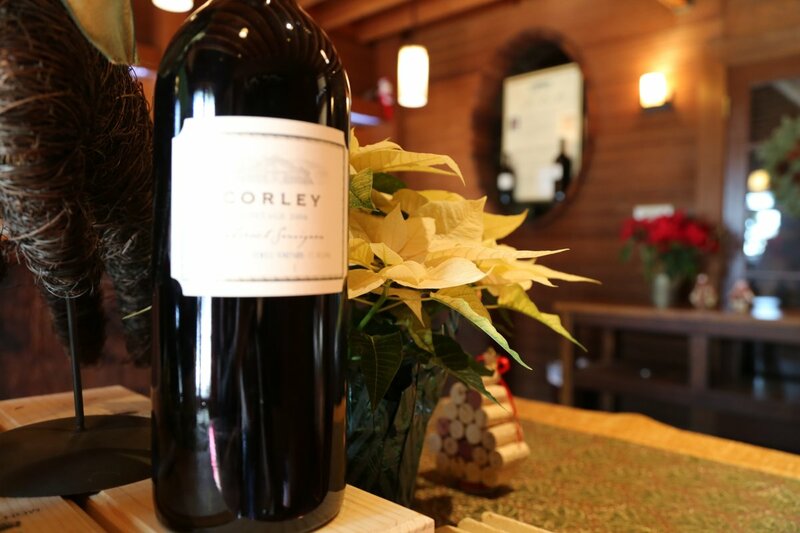 The Corley label includes their reserve and limited production premium wines (usually produced between 150 to 550 cases annually of each wine) including several single vineyard Cabernet Sauvignons. 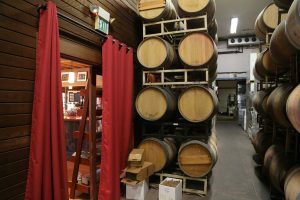 In a very unusual offering for a Napa based winery – they also produce a Brut sparkling wine from a Pinot Noir/Chardonnay blend (non vintage). 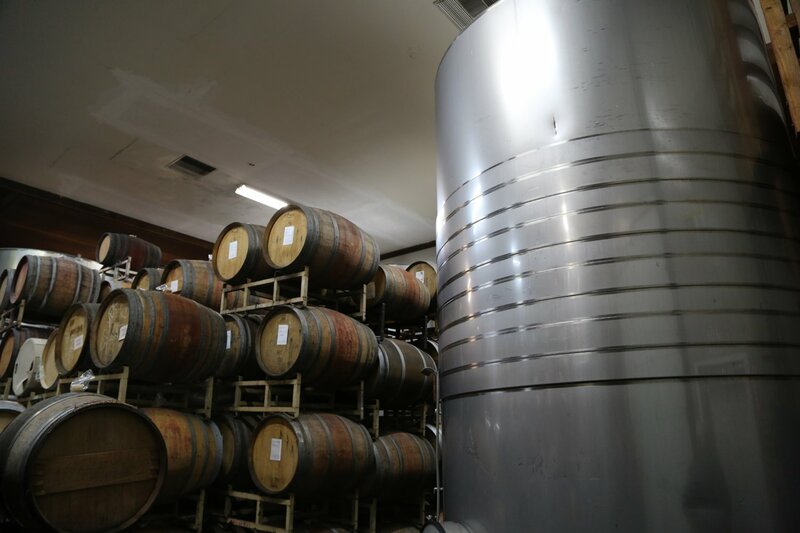 This wine is very much hand crafted with all the riddling done by hand. 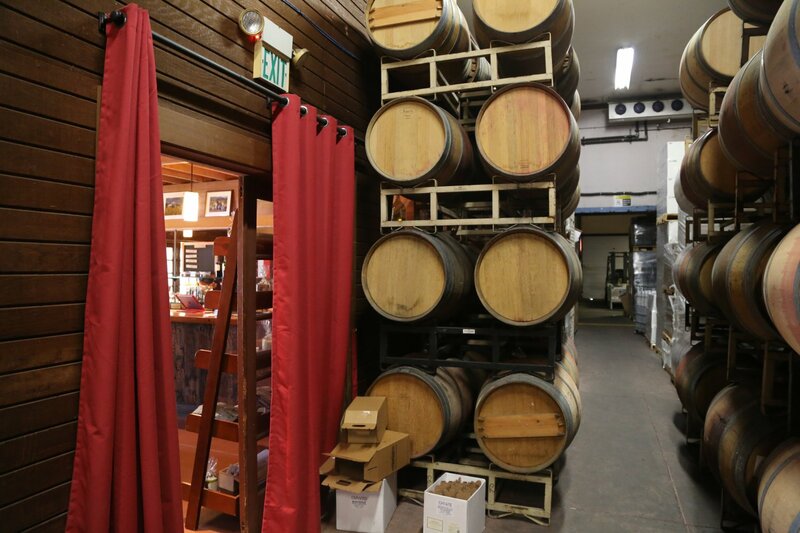 This is a very limited production wine each year – usually around 150 cases. Total production of all their wines each year is usually around 15,000 cases. 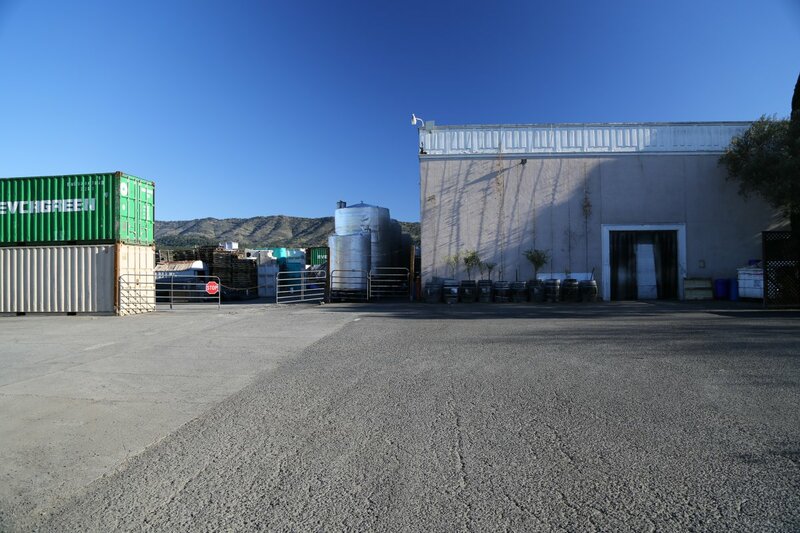 Another sizable part of their business (that visitors to the property typically won’t pick up on), is their custom crush business where some of their winery space is rented out to smaller producers who do not have a winery of their own. 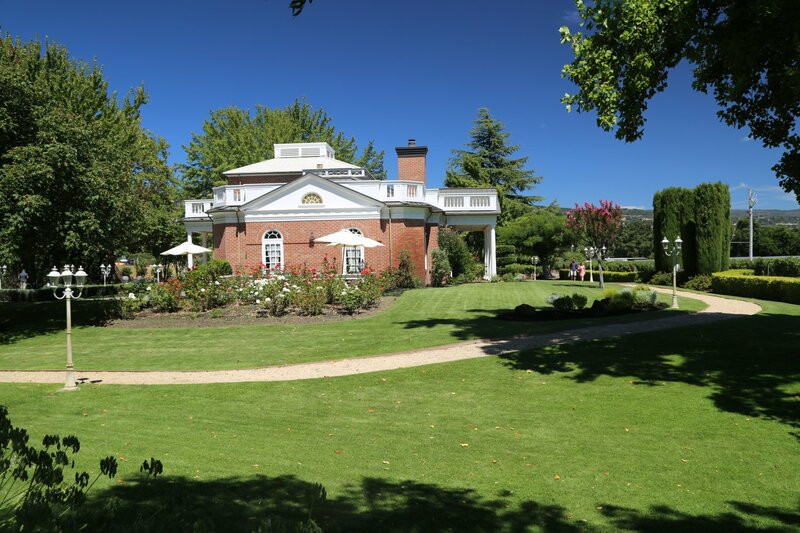 Jay enjoyed wines made in Burgundy and therefore decided to focus his initial efforts on Chardonny and Pinot Noir (the first two varietals and wines made at Monticello). The 2014 Chardonnay reveals a layered and an enthusiastic bouquet. Notes of pomelo, almond (along with a general nutty aromatic character) initially show. 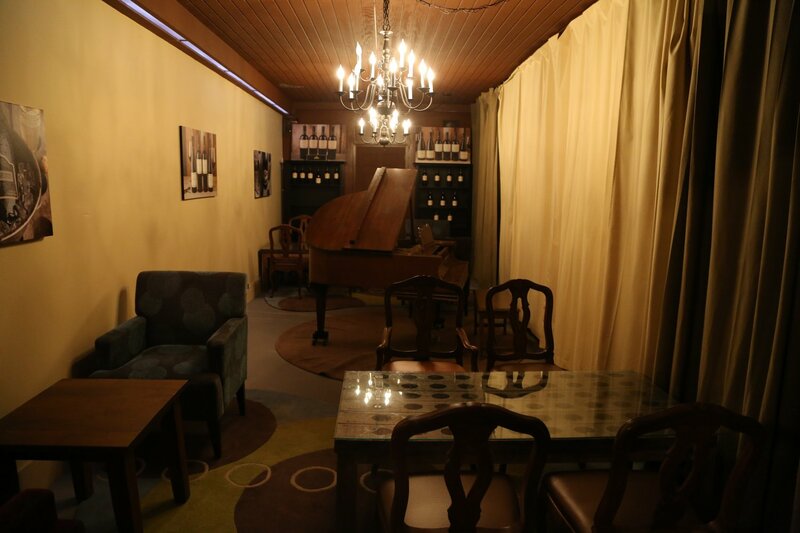 As this wine breathes is becomes more floral with prominent notes of orange blossom and honeysuckle. 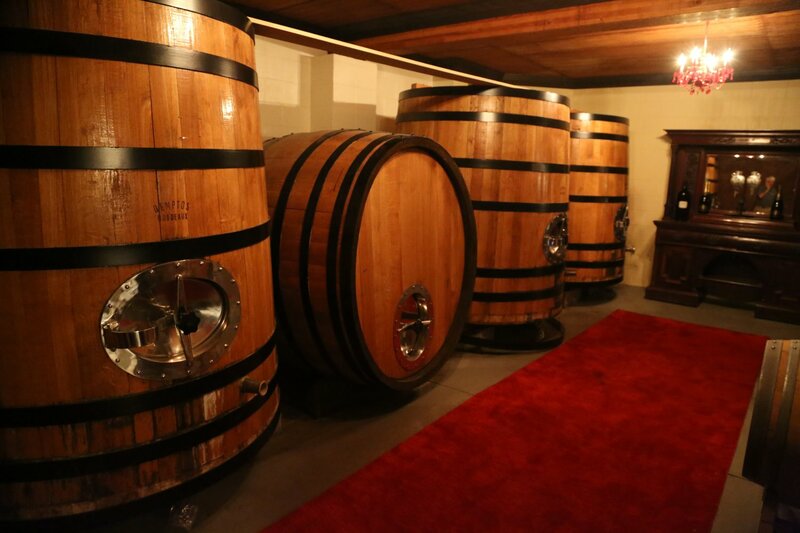 The wine is aged in 70% stainless steel and 30% new French oak. It is well balanced on the palate with a somewhat creamy rounded and silky mouth feel – almost a bit oily in nature but not overly viscous. 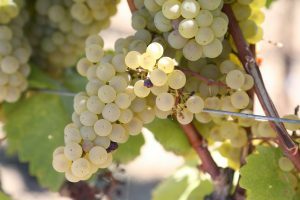 Lingers with flavors of popcorn butter and slight notes of a lemon zest. 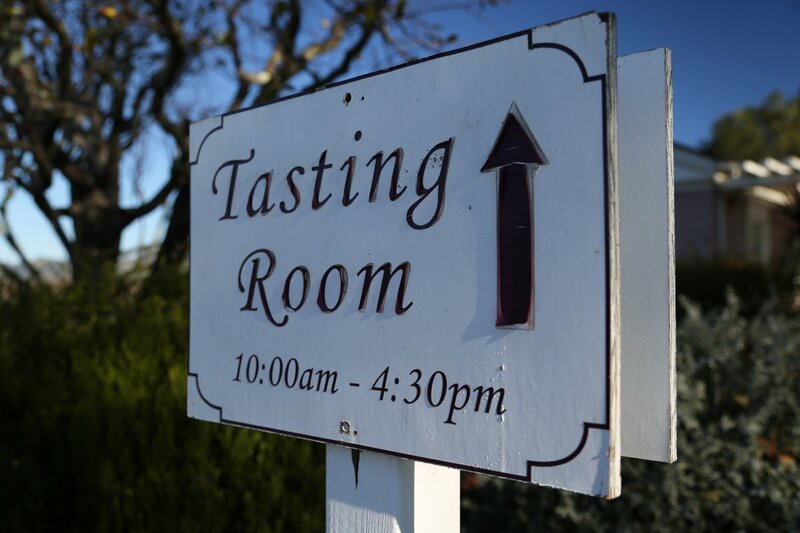 We have enjoyed several vintages of this wine over the years – and looking back over our various tasting notes, it seems to be made in a fairly consistent style from year to year. 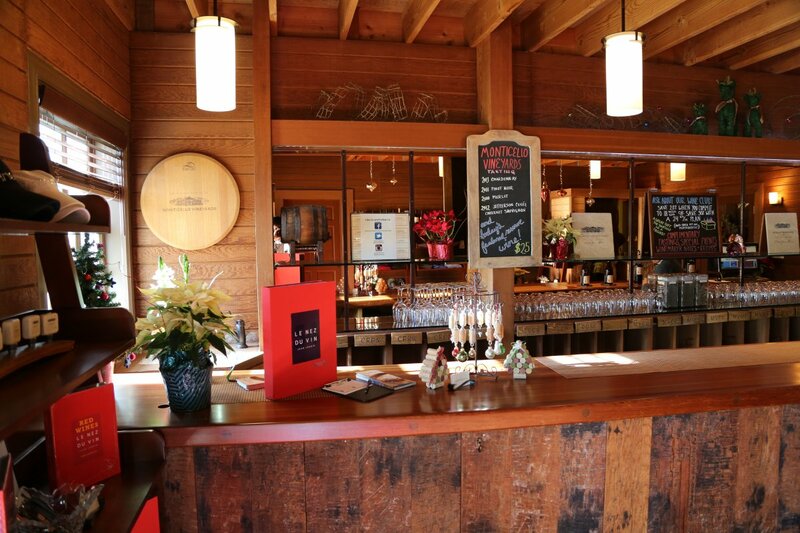 Their first vintage of Pinot Noir from Dijon Clone 777 is from 2013. 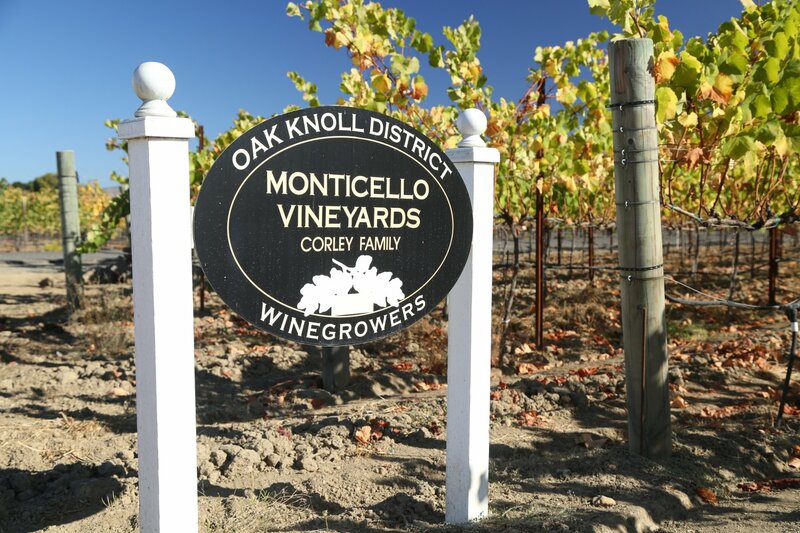 Not a lot of producers grow Pinot Noir in the Oak Knoll district, but this is another example of the diversity of terroir characterized by this this part of the valley (in part, Oak Knoll is known as an area that supports a diversity of types of grape varieties). The 2013 Block II Dijon Clone 777 shows a sweetness on the bouquet including notes of clove, raspberry and toasted cedar plank. This is a bigger wine of this varietal then is often made in Napa. At the winery, they sometimes refer to this as the “Cab lovers Pinot Noir”. 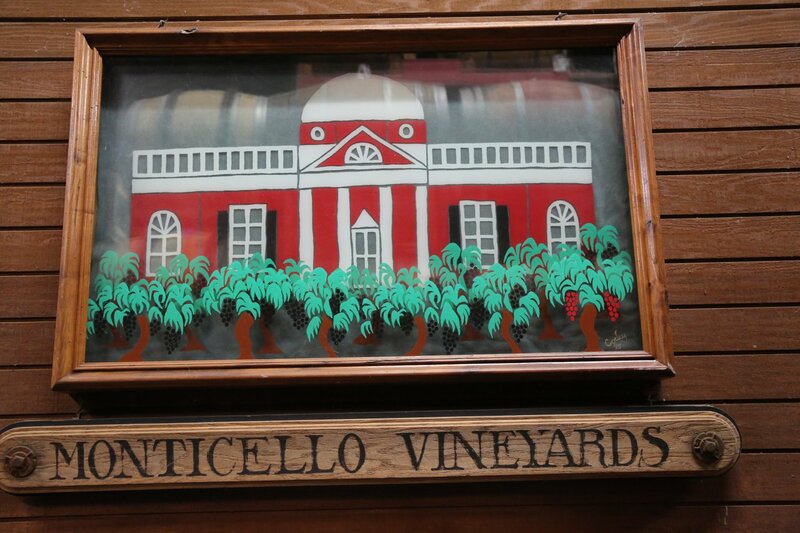 Shows a red cherry and a cranberry tartness framed with noticeable tannins that linger for some time. Plenty of fruit and more structure then often found in wines from this varietal. Their Proprietary Red has been released each year since 1999; this wine is very popular, reasonably priced for the quality and ages extremely well. 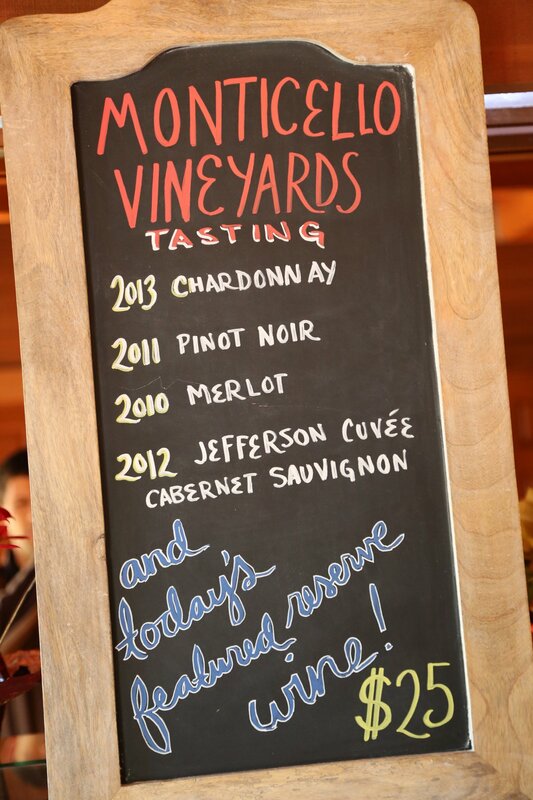 We tried several older vintages (2004 and 2007). The 2007 is drinking very well with 10 years of age. 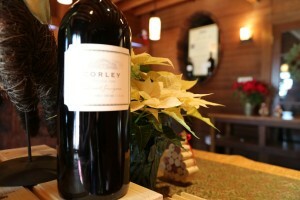 This was the only vintage of their Proprietary Red to date that did not contain any Cabernet Sauvignon. 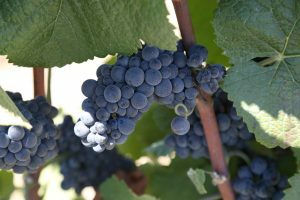 This wine is typically predominately a Cabernet Franc blend. 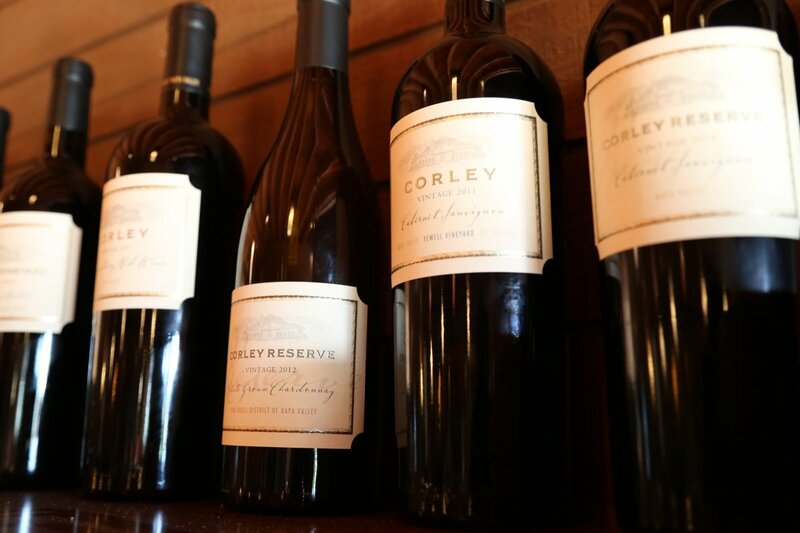 Of the red wines we tried, the 2013 Corley Reserve Cabernet Sauvignon stands out. 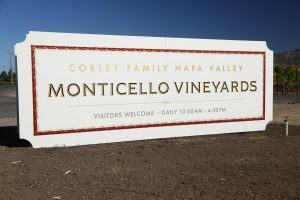 It is a blend of grapes from their State Lane vineyard in Yountville and two other vineyards they lease and manage the vines on including in Rutherford and St. Helena. 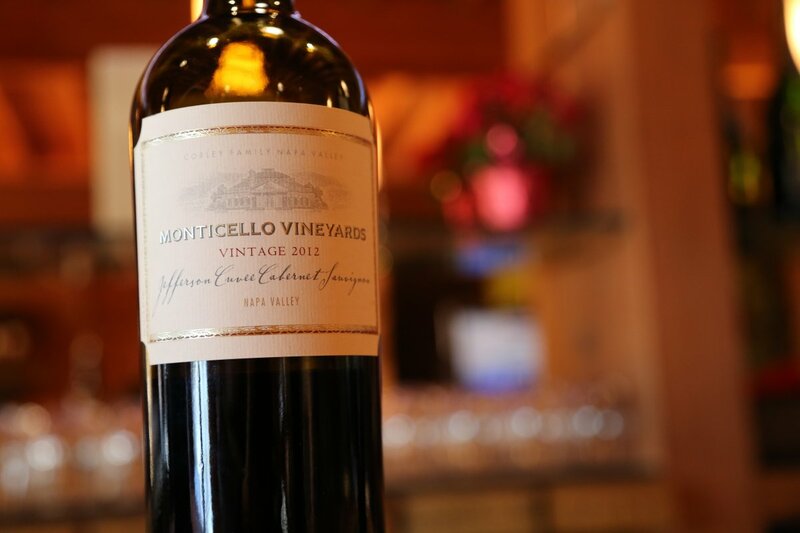 This vintage immediately reveals rich aromatics that one comes to expect from premium Napa Valley grown wines of this varietal. 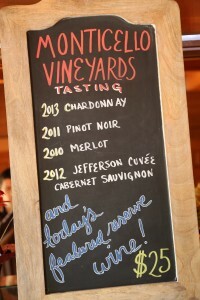 Aromatics include prune, plum, cherry pie/crust and a sweet dark chocolate. Very pretty bouquet. A pleasing mouth feel upon entry with dark berry flavors. Big but balanced, not bold. 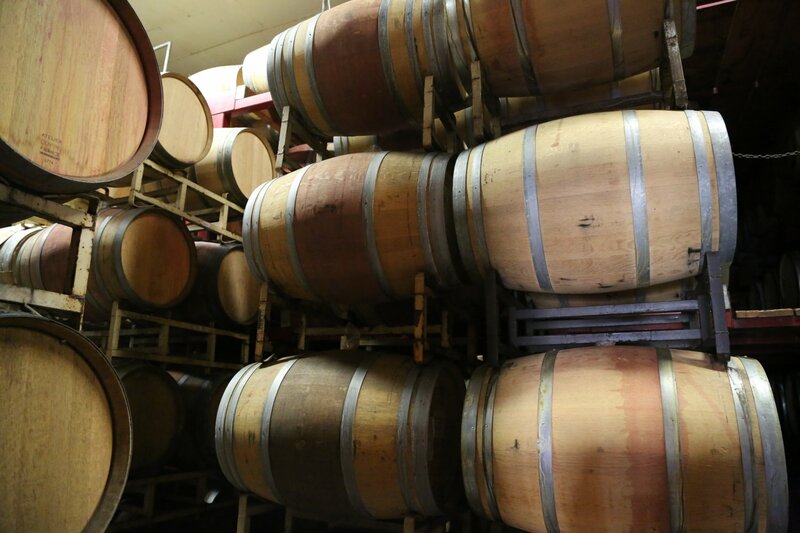 Well layered and textured tannins anchor a long finish. A beautiful wine. 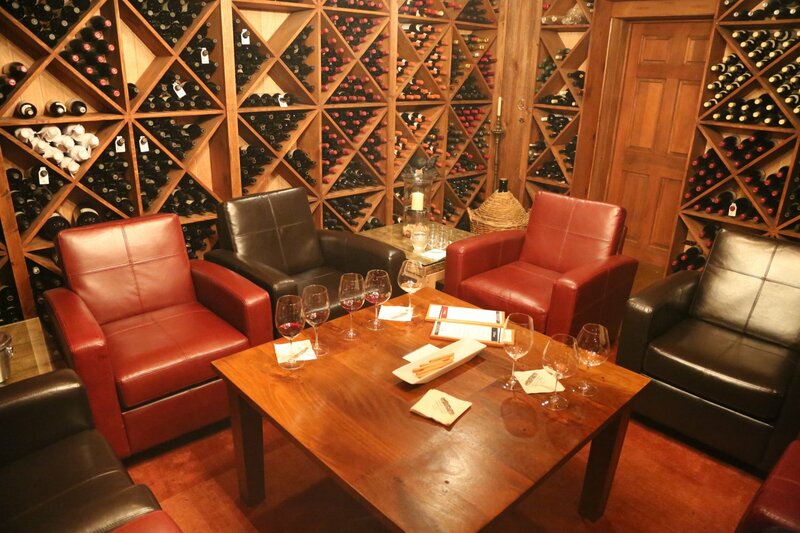 “Good Wine is a Necessity of Life for Me” ~ Thomas Jefferson. This quote is proudly displayed on the entrance to the tasting room. Their tasting room is cozy, comfortable and personable and is located right next to their barrel room. 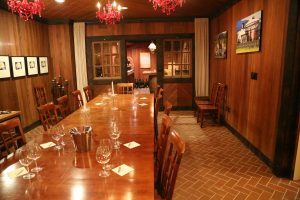 A number of their staff have been here for several decades, refreshing considering the often high turnover at many Napa wineries that maintain an open to the public tasting room. If the weather is nice, the several acres of gardens outside their tasting room also provide a very relaxing and quiet venue for enjoying the wines (incidentally planted to the same vegetation that Thomas Jefferson grew at Monticello).